This is my entry into the 99Frames 'Social Animation Project', 2015 - a competition to create an animation of 99 frames at 30fps, using Cinema 4D. I used this as an opportunity to practise with some of the tools in C4D that I hadn't used so much, like character rigging, spline dynamics and hair/feather rendering. 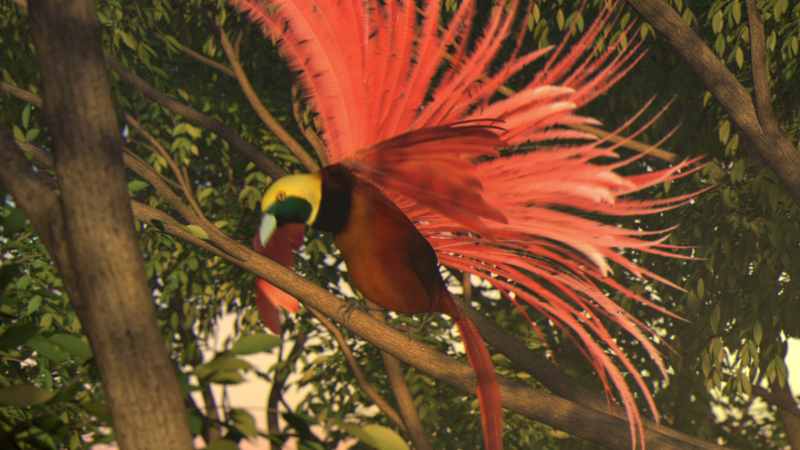 The animation is based upon the mating call of the Raggiana Bird of Paradise.